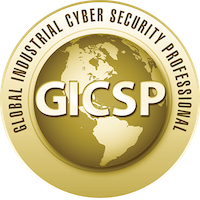 For 2018 my first recommendation to any and all organizations relying on industrial control systems (ICS) is to hire a qualified, experienced company or individuals to conduct a thorough ICS security assessment of the organization and facilities. The security assessment should include both cyber and physical security inspections of systems, buildings, and property looking for vulnerabilities as well as strengths/good practices. The vulnerabilities need to be identified and a recommended corrective action should be documented. The vulnerabilities should then be assessed relative to their resulting risk to the plant/enterprise and classified as Critical, High, Medium, Low or Informational. Hence, the management can take this list of issues and focus their resources -- i.e., manpower and money -- on the higher risk issues first. Such an assessment is a great way to start the year and can help with budgeting, resource assignment and identification of key concerns. Of course, anything potentially affecting safety or production should be attended to first. Ernest N. Hayden (Ernie) is the founder and owner of 443 Consulting, LLC, an enterprise focused on providing quality thought leadership in the areas of industrial controls security, critical infrastructure protection advisory services, cybercrime/cyberwarfare, business continuity/disaster recovery planning, and research. Mr Hayden has extensive experience in the Information Technology (IT) Security, Critical Infrastructure Security, Industrial Controls Security (ICS), Privacy, Homeland Security, Seaport and Airport Operations and Security, Energy/Electric Utilities, Municipal Government, Emerging Technologies, Not-for-Profit agencies, and Military Industries. His primary emphasis is on project and business development involving cyber and physical security of industrial controls, smart grid, energy supply, and oil/gas/electric systems and facilities. March 13-14 -- Ernie will be on a panel to discuss cybersecurity requirements for solar operators and developers. February, 2018, Honolulu -- Ernie was a speaker at the EnergySec Pacific Rim Critical Infrastructure Security Summit. At the meeting, Hayden provided an hour-long discussion on the threats posed by commercial drones to critical infrastructure. If you'd like a copy of the presentation, please click here. In February 2018 Hayden was an invited speaker and panelist at the Blockchain and IoT Conference for Oil & Gas Industries, Calgary, Alberta, Canada. It was a fun event and brought together some very interesting speakers. Below are some photos from the event. A copy of the presentation, "Securing Your Company from the Next Attack" can be located here.